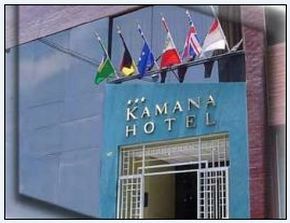 Welcome to Hotel Kamana, you may order our personalized services and comfort and modernity of our facilities in the Historic Center of Lima, especially designed to make your stay with us is a pleasure to repeat it again. The hotel is located just 1 block from Jr de la Union, the main shopping street in the center, where you can find department stores, restaurants of every type and price, Internet booths, craft shops and more.Also if you look very close you will find entertainment theaters, nightclubs, bars and rocks where you can spend an enjoyable evening. from the hotel will take only 5 minutes by taxi. If you wish to know other places of Lima, such as Miraflores, the course will be twenty minutes, depending on traffic. Jorge Chavez International Airport is located 30 minutes from Hotel. Our privileged location will allow you to discover on foot the colonial charm of our city as well as the main attractions of downtown Lima among which we mention: the Cathedral, the Convent of San Francisco and its catacombs, the convent of Santo Domingo, El Palacio Government, the renovated Plaza Mayor and the beautiful architecture of the Plaza San Martín. 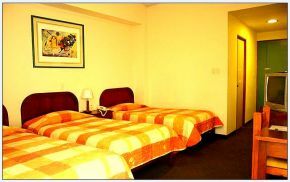 Spacious and comfortable rooms, designed to give you a pleasant stay in a safe and pleasant environment. 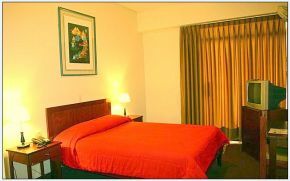 Each room is equipped with cable TV, safety box, telephone access to call long distance and international and private bathroom with hot water 24 hours. 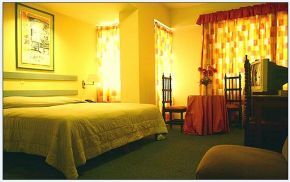 You will have a cozy place, ideal for rest and relaxation and to meet and exchange experiences with fellow travelers. 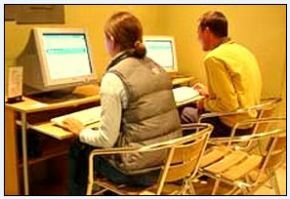 Our staff are always willing to help. Koala bar - 24 hours. Guardianship of baggage free . Smoke Detector and fire system. Mr. Koala a cozy place where you can enjoy our traditional Creole cuisine.Besides a wide range of international dishes, with the house specialty fish, seafood and pasta. In our bar, enjoy our traditional Pisco Sour, prepared by an expert bartender.